Member of the Los Alamos Mountaineers since 1980. 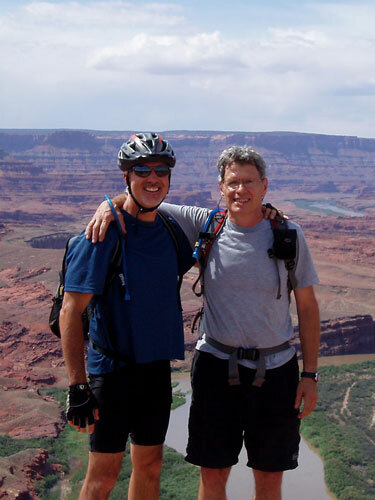 Jan has always loved the outdoors, where his favorite activities are mountain biking, downhill and cross country skiing, canyoneering, backpacking, mountaineering, trail running, and hiking. He reluctantly gave up rock and ice climbing (plus caving) due to a back injury. 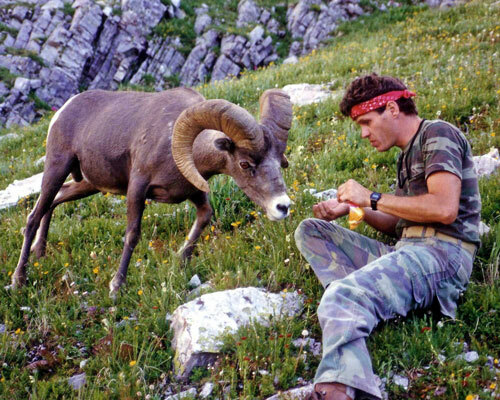 Jan's last climb was on a June 1999 club trip that he organized to Yosemite. Jan and Edward Romero climbed Royal Arches on June 11, 1999. This was Jan's third ascent of the well known 50 Classic Climb, and was done about a year after he broke his back on a climb at Lovers Leap near Tahoe. Jan's transition to a non-climber was not easy, but is now complete! His long term climbing partners (Norbert Ensslin, Roger Rumsey, Peter Walsh, and Elizabeth Kelly) will be revered always! Jan has been given honorary "Lifetime Member" status with the club, and he is a recipient of the the clubs "Distinguished Service Award". Bugaboo Spire's Kain Route, Mount Rainier's Liberty Ridge, Devil's Tower Durrance Route, Grand Teton's Direct Exum Ridge, Pingora's Northeast Face, Wolf's Head East Ridge, Crestone Needle's Ellingwood Ledges, Hallett Peak's Northcutt-Carter Route, Petit Grepon's South Face, Shiprock's Standard Route, Castleton Tower's Kor-Ingalls Route, Middle Cathedral Rock's East Buttress, Half Dome's Snake Dike, Fairview Dome's North Face, Charlotte Dome's South Face, Lover's Leap Traveler Buttress, Red Rocks' Epinephrine, Crestone Peak's Red Gully, Mount of the Holy Cross's Holy Cross Couloir, and the Blanca-Little Bear traverse; many of which were repeated....some several times. Jan retired on July 1, 2003 after almost 40 years with the Los Alamos National Laboratory. Jan was a physics technician with a strong background in analog electronics, computers, web development, computer security, lasers, x-ray systems, optics, accelerators, digital imaging, and diagnostics development. Details about his professional career are available here.